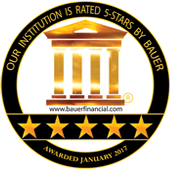 Program participants will receive their FICO® Score 8 based on Experian data updated on a quarterly basis, when available.. It may take up to three months for us to populate your score on our site. Please log in again after your next statement to check your FICO® Score. This benefit is not available to joint account holders. FICO® Scores are based on the credit information in a credit file with a particular consumer reporting agency (CRA) at the time the score is calculated. The information in your credit files is supplied by lenders, collection agencies and court records. Not all lenders report to all three major CRAs. The FICO® Score that we provide to you is based on data from your Experian credit report as of the ‘pulled on date’ shown with your score. - What is a FICO® Score? 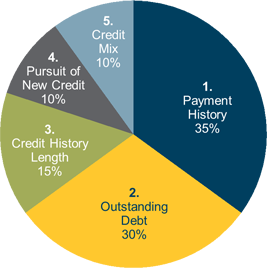 - What goes into FICO® Scores? - Which Credit Scores Matter? *Above information has been prepared by the Fair Isaac Corporation. PSFCU and Fair Isaac are not credit repair organizations as defined under federal or state law, including the Credit Repair Organizations Act. PSFCU and Fair Isaac do not provide "credit repair" services or advice or assistance regarding "rebuilding" or "improving" your credit record, credit history or credit rating. Fair Isaac Corporation is not affiliated with PSFCU.